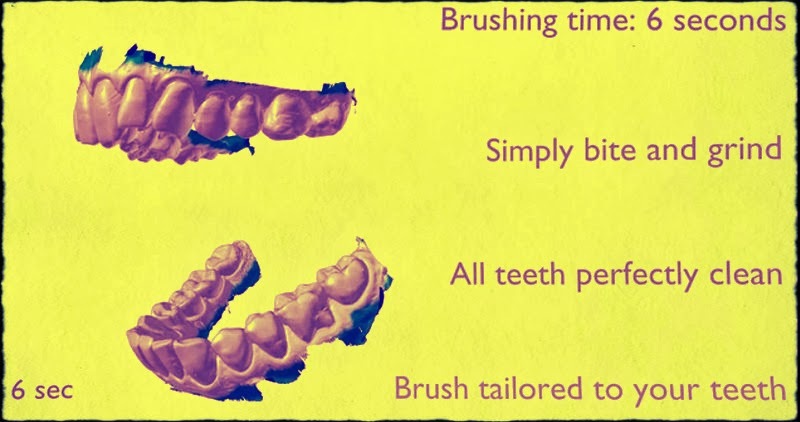 ABC News.- If you’re tired of spending the recommended two minutes brushing your teeth every morning and night, a new toothbrush claims it can help you get a deep, clean in six seconds. The Blizzident toothbrush looks a bit like a mouth guard with bristles, and a 3-D printer customizes the fit for each customer. Ringing in at $299, the toothbrush lasts for a full year, a bit longer than the recommended three to four months for toothbrush replacement recommended by the American Dentistry Association.